Managing your environment is also important. Place a baby gate across the front door area so you have a reminder and a barrier that keeps your dog in the house. It’s important that your dog not be allowed to practice the door - dashing if you are going to train through this. Using rewards that are above average Think, “Big Guns,” in terms of the rewards as you work on your emergency recall. Food rewards are the simplest thing to use. However, you might also want to think in terms of using rewards such as a special tug toy, an almost empty toilet paper roll, or even a fast food bag and a couple of pieces of the real cheese burger (left in part of the wrapping paper) inside for your dog to tear into and eat. Of course, working with a hungry dog will help this along faster. Now walk over to your dog with a handful of the high - valued treats in your hand . Show him your treats; say your cue word quietly at first, turn , and then take three – five steps away from him, but watch over your shoulder so you can see his movement. The instant he starts to move toward you, say, “Good dog,” and drop 3 – 4 treats right in front of your feet. It is very important that you don’t become predictable. You wouldn’t want to teach your dog that ,only after you go into the kitchen and get the treats are you are going to play this game , or you always take four steps from him . You want to surprise him with this, very much as in real life. You might have to use this emergency recall to get him away from a diversion, so practice when he is slightly distracted early on, then build using your emergency recall during greater distractions. You can avoid the predictability by keeping food rewards where you can quickly grab them. Canned cheese works well for this, or other nonperishable foods such as jerky. As your dog becomes familiar with this first part, start to raise the volume of your voice, (such as what you might do if you were in a panic), so if you do need to use your emergency recall during a crisis, your dog will not be frightened if you happen to yell your recall word. Raise the volume of your voice slowly - a little louder with each practice. Most dogs love to chase after us, especially when there is a Powerful reward for doing so. Chasing you will make it that much more rewarding for your dog. 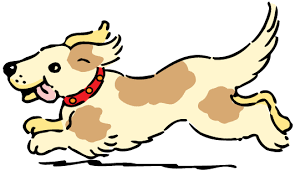 It is important to do many repetitions at this level and once you see that your dog is following you all over; you can add more distance and start to play some hide – n - seek games with him. When your dog is not looking, hide (but not too hard at first) say your emergency cue, and when your dog finds you, have a party with lots of praise, treats, tug , or what ever else you think might make a strong impact on your dog. leash. You will practice calling your dog back in to the house. The rewards for this should be the most valuable of all. After a few weeks of this training, you should have a dog that responds very fast to your recall cue. If you find you are still having trouble, you should contact a positive reinforcement trainer that can come to your home and help you with fine - tuning the process. Should you reprimand your dog for growling at you? 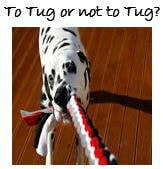 A lot of trainers advise us not to play tug because it can teach him to be aggressive or to be ‘dominant’. While the majority of dogs do not need Prozac for behavior problems, this option is now available for dogs.While the majority of dogs do not need Prozac for behavior problems, this option is now available for dogs.While the majority of dogs do not need Prozac for behavior problems, this option is now available for dogs.